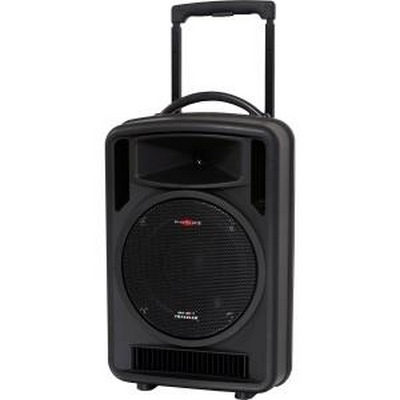 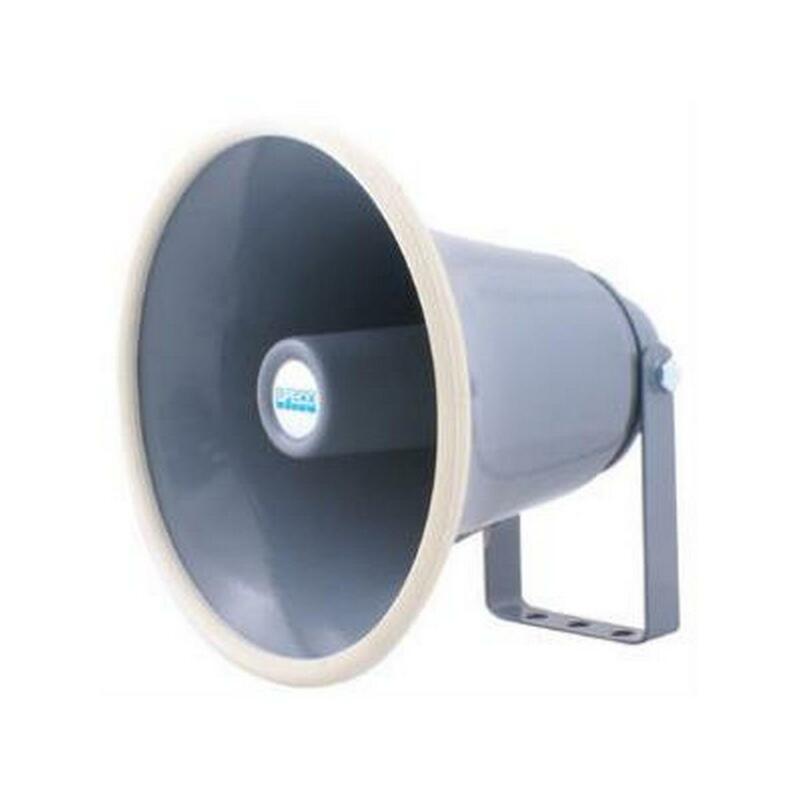 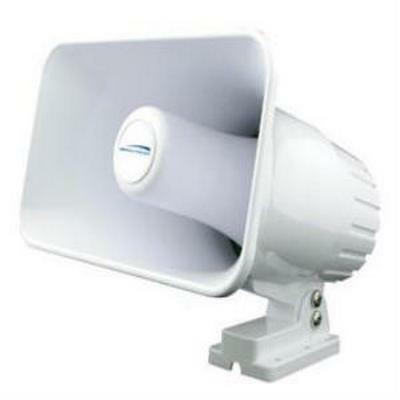 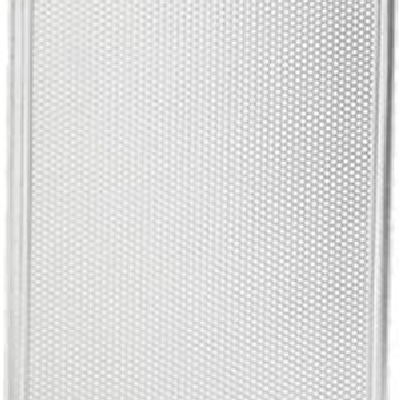 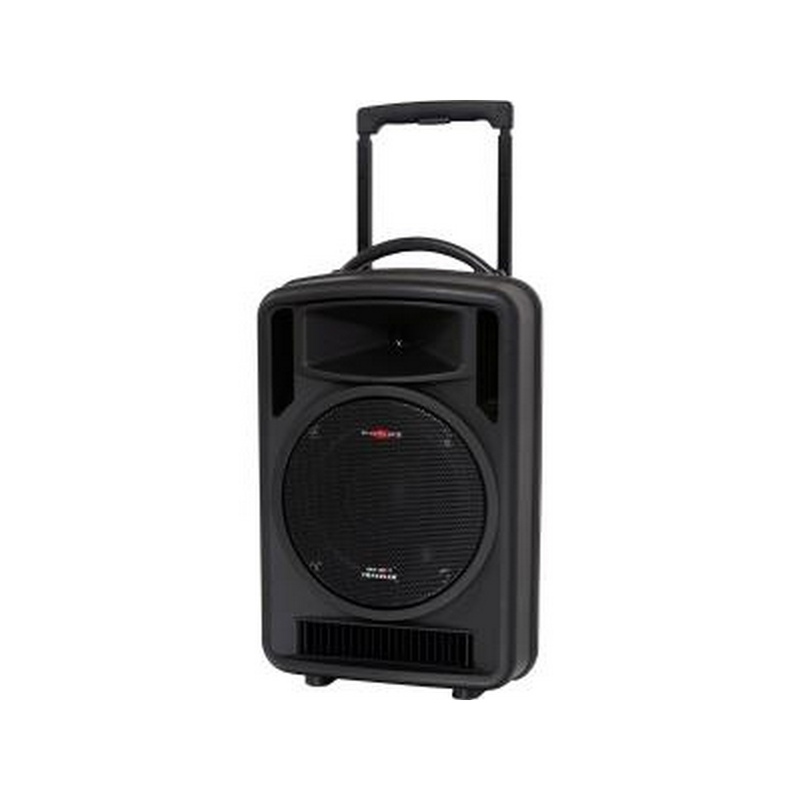 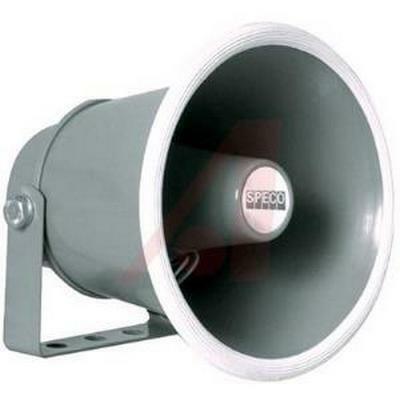 Speco Technolgies 8 inch weatherproof aluminum PA speaker offers a frequency response of 200 to 15 kHz with a 15 watt RMS/25 watt maximum power rating. 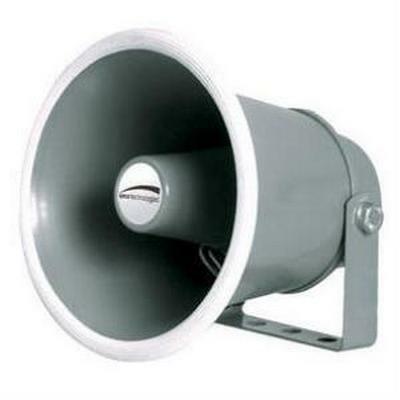 It features a 110 dB sensitivity and an 8 ohm impedance. 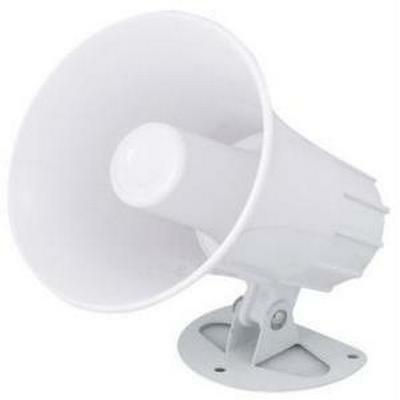 Adjustable mounting bracket is included. 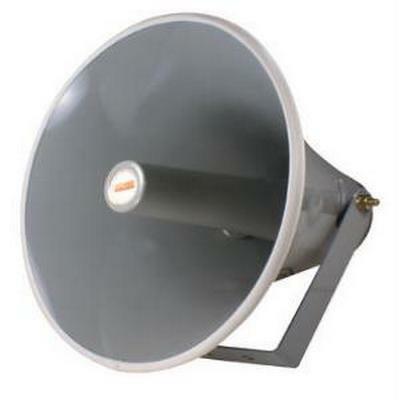 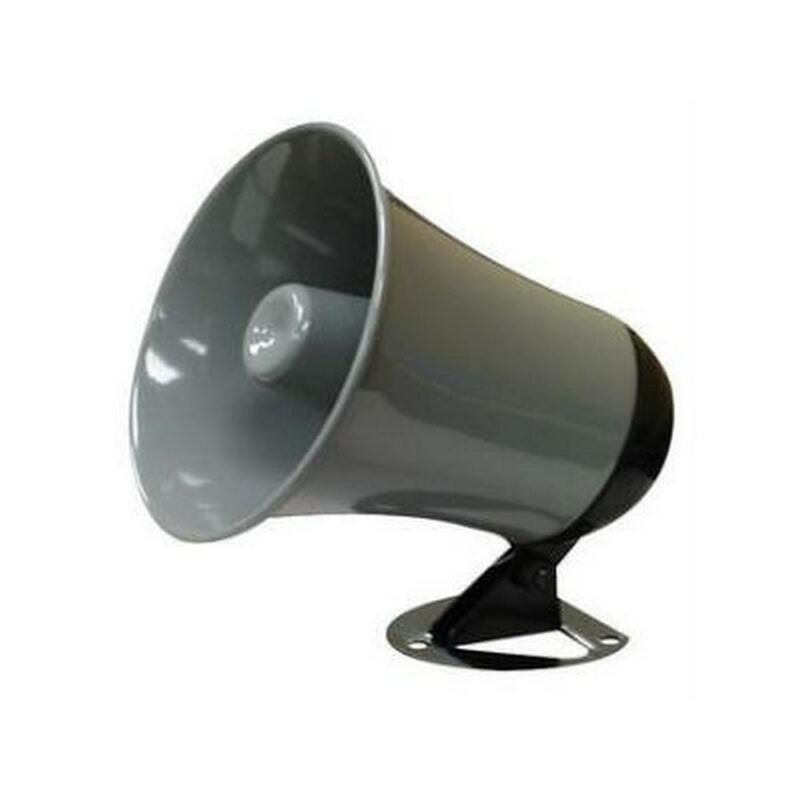 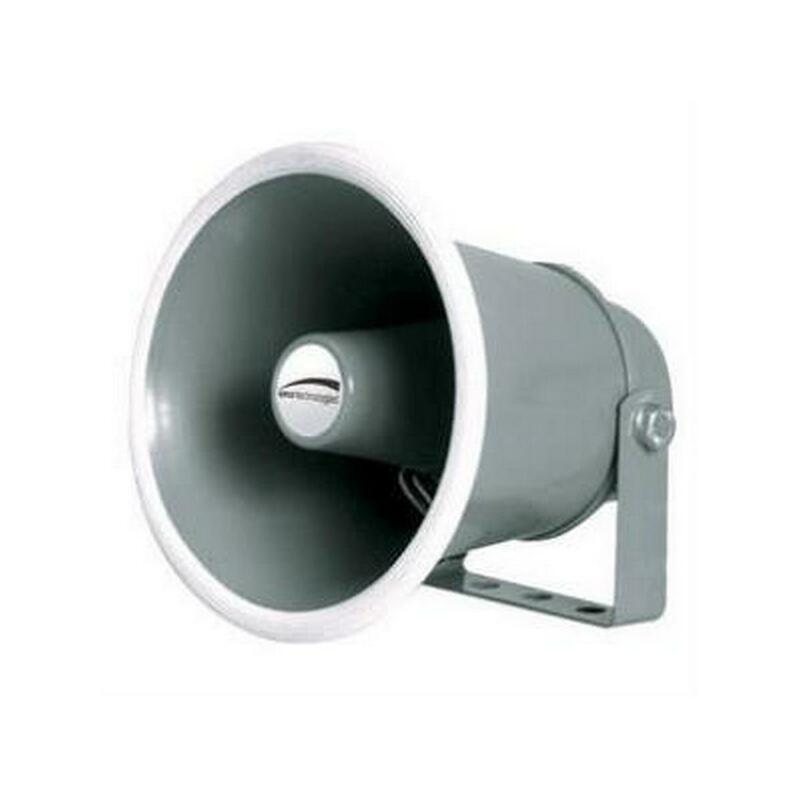 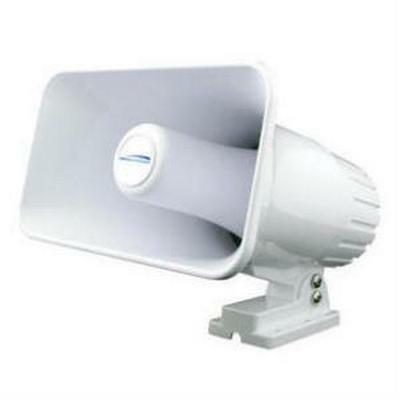 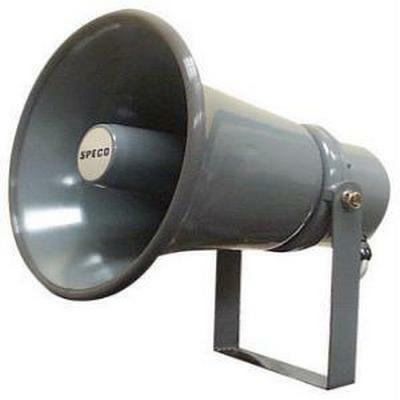 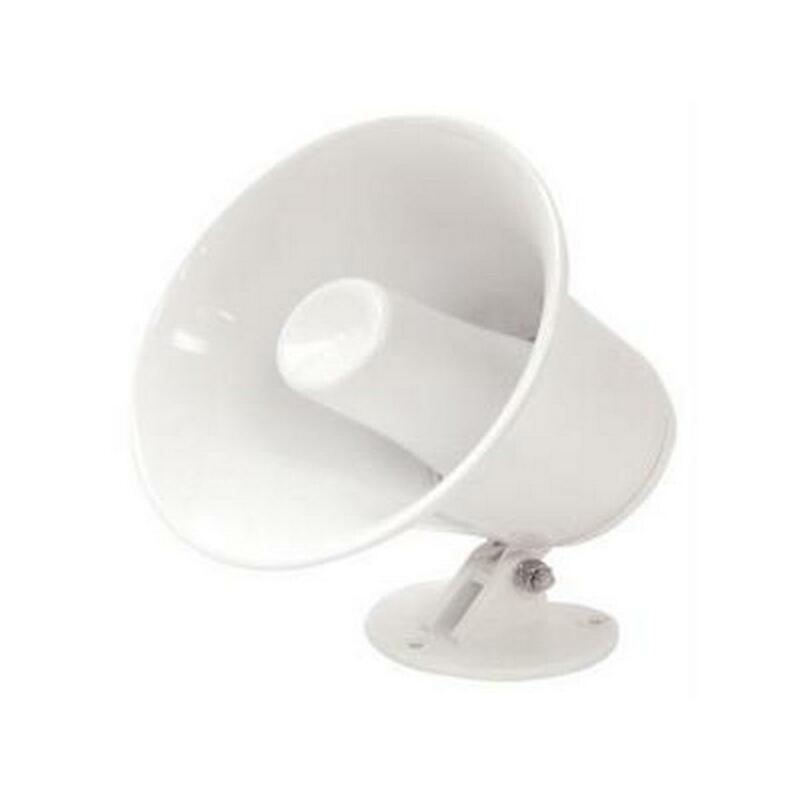 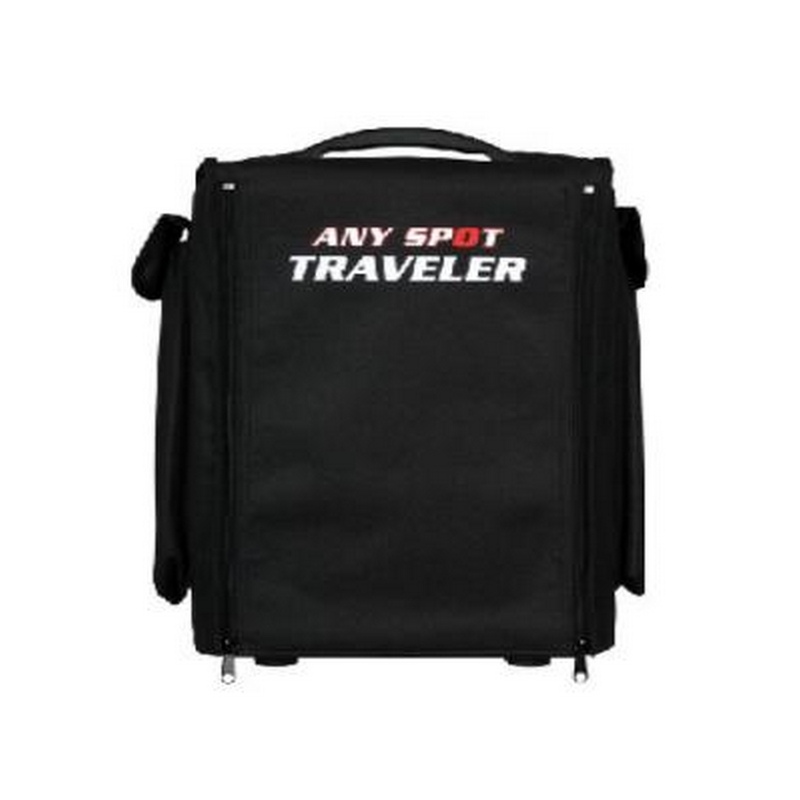 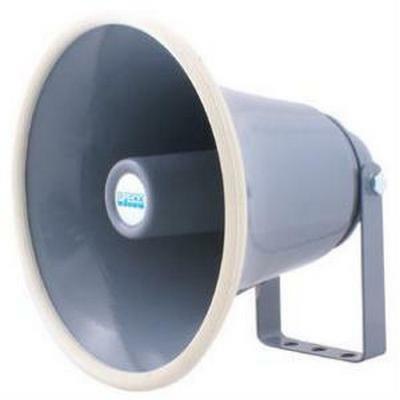 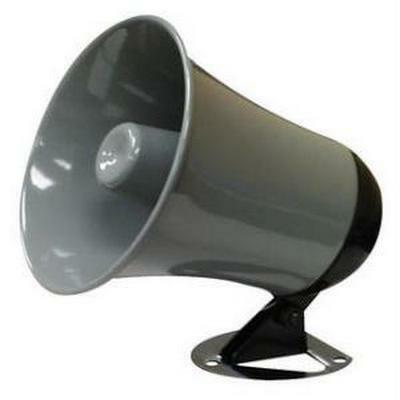 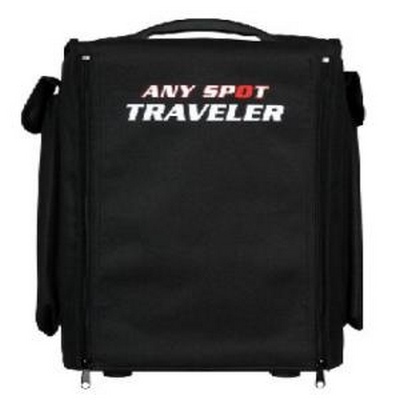 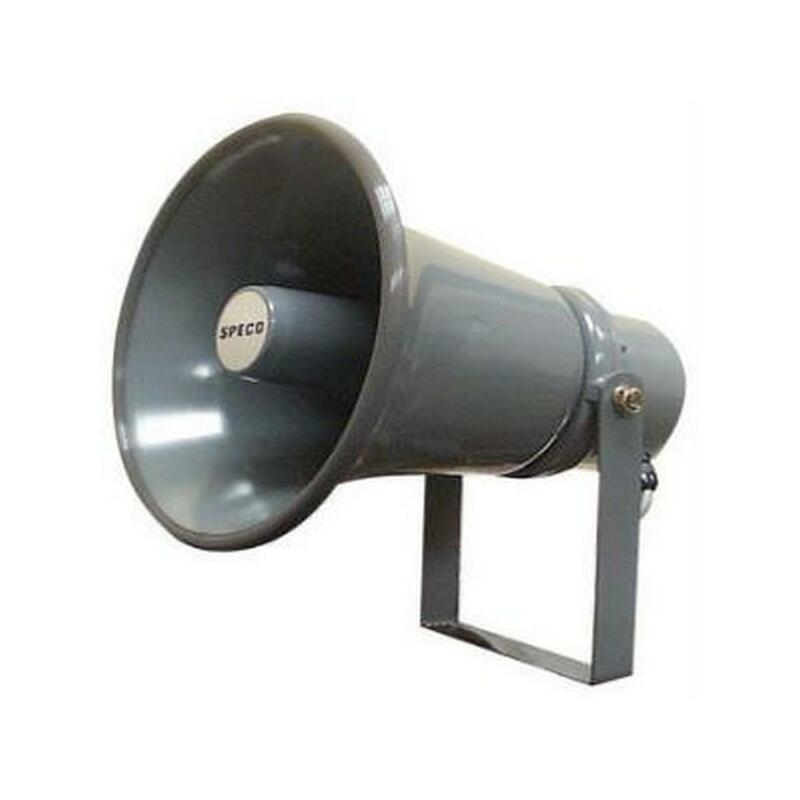 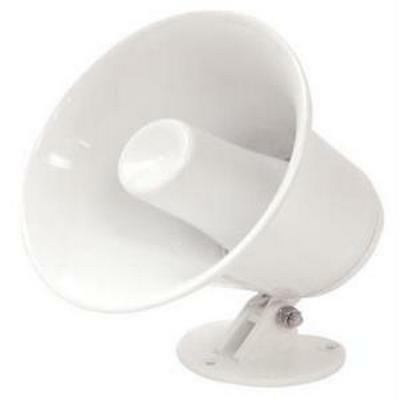 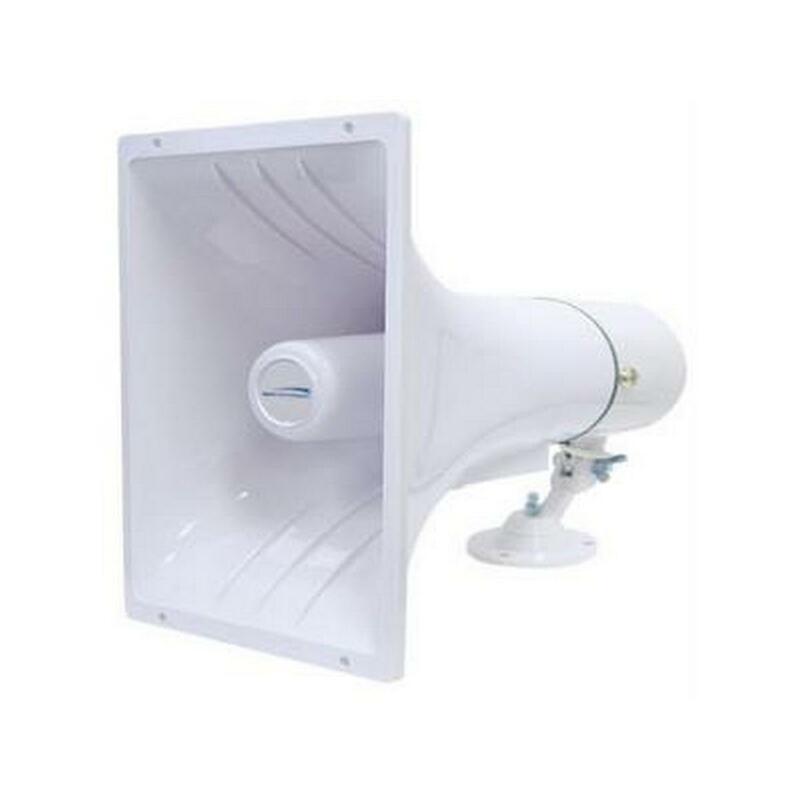 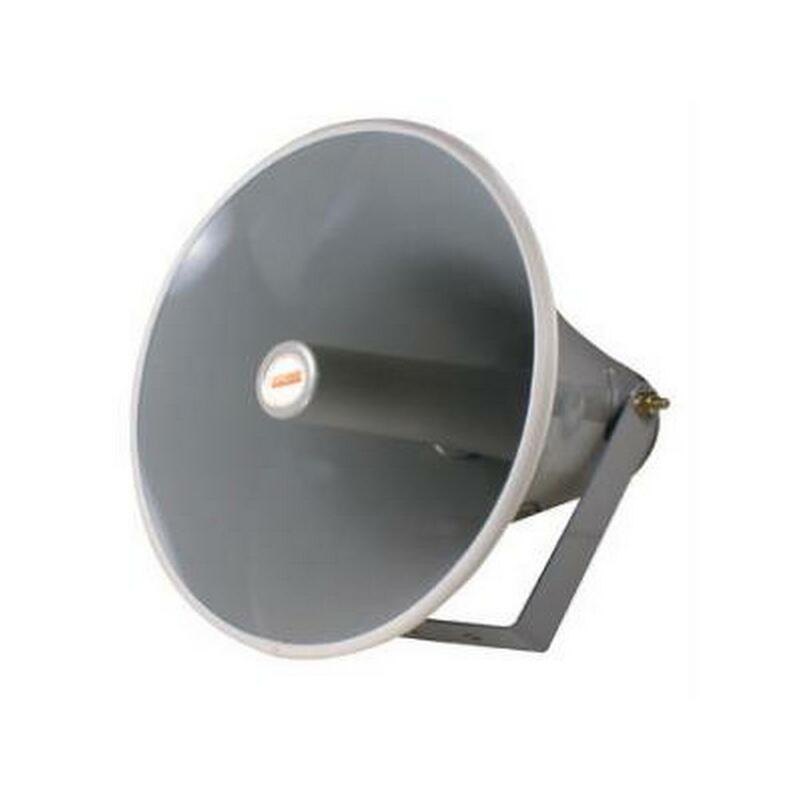 Speco Technolgies 6" aluminum PA horn is weatherproof. 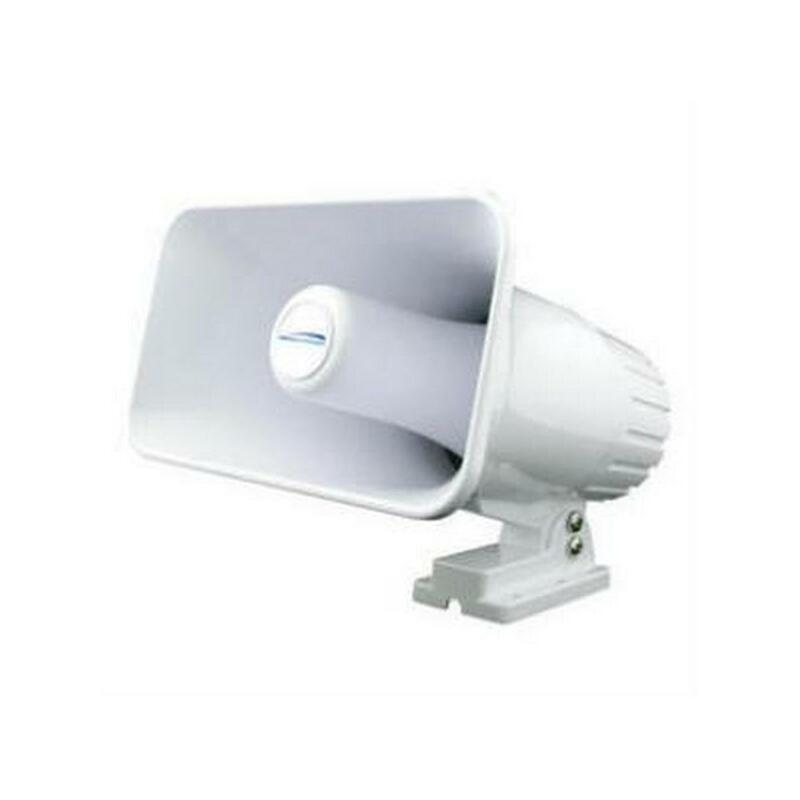 It offers a frequency response of 250 to 15,000 Hz with a 10 watt RMS/15 watt maximum power rating. 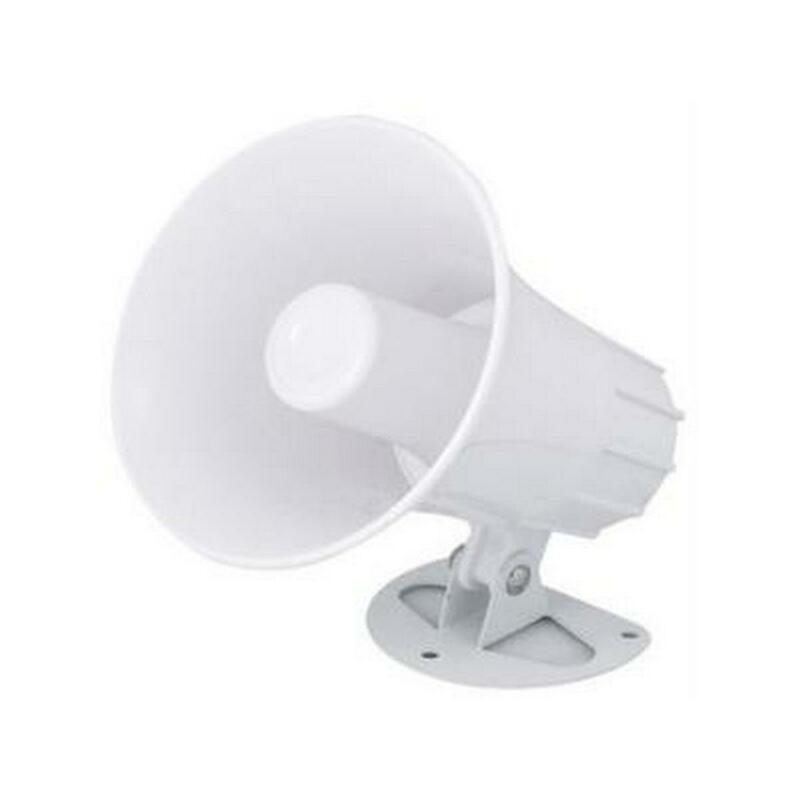 It features a 105 dB sensitivity and an 8 ohm impedance. 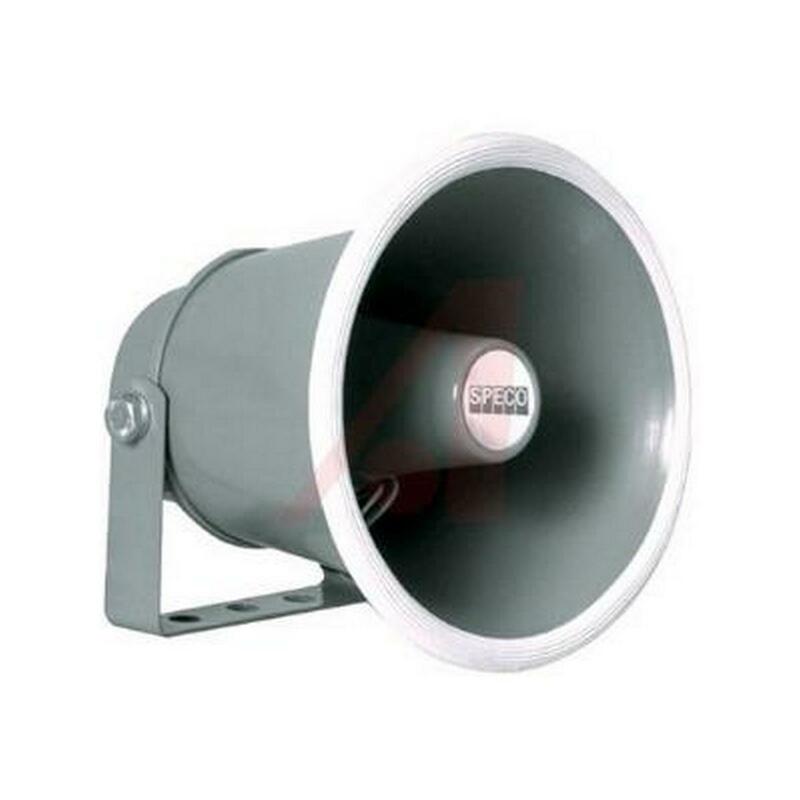 The V2-1596W is a two-way, full-range loudspeaker system suitable for use in a wide range of fixed installations. 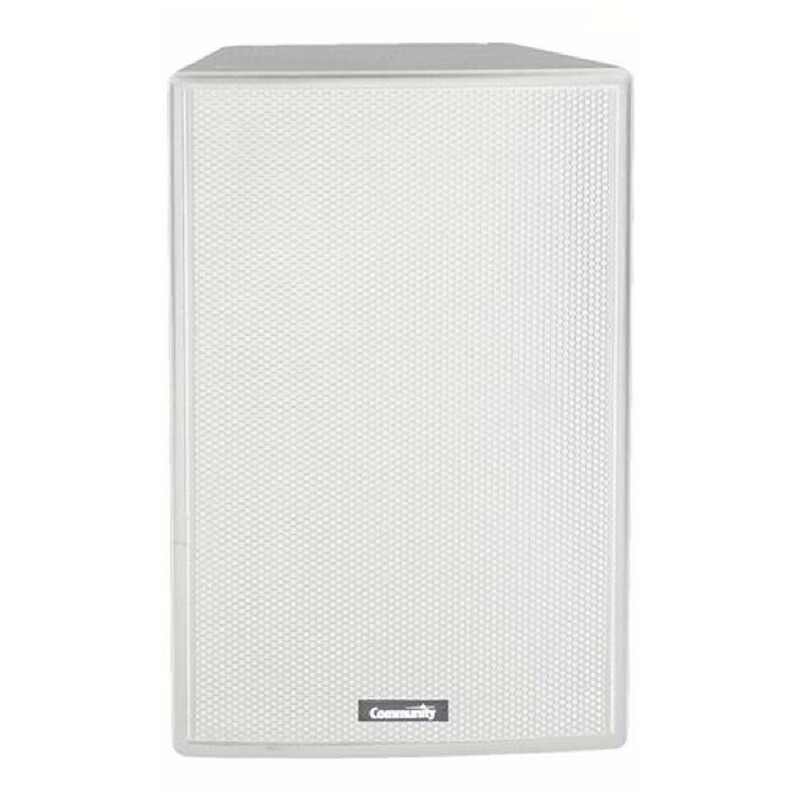 Extremely powerful with a clear, low distortion sonic quality, the V2-1596W is ideal for applications such as contemporary worship services, music and dance clubs, and theatrical sound reinforcement. 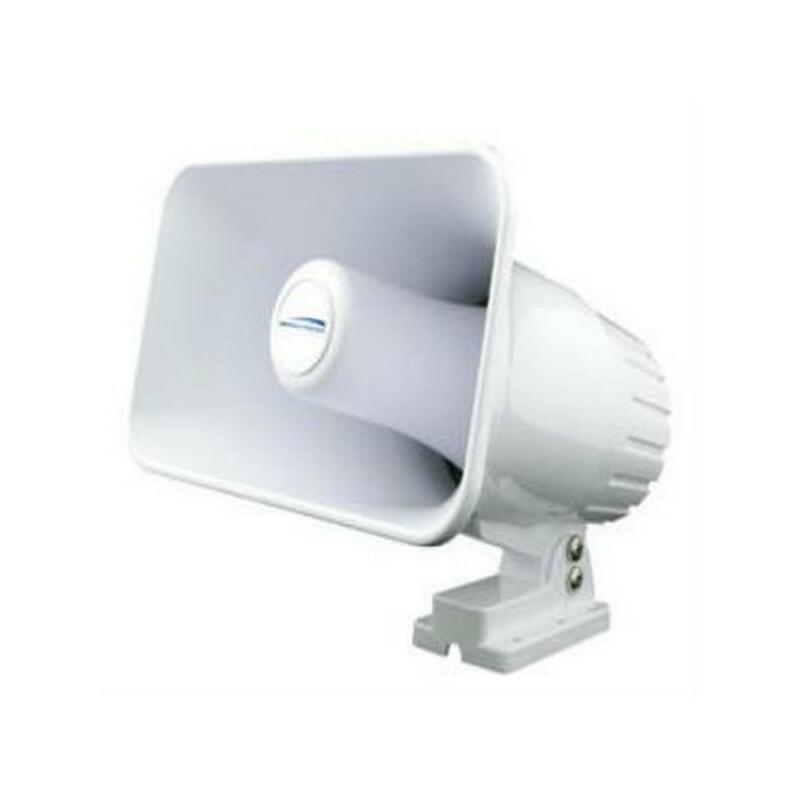 Its trapezoidal design allows it to be clustered with like units, forming powerful arrays. 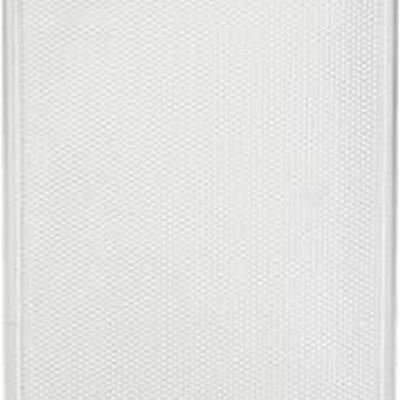 The 90º x 60º pattern makes the V2-1596W useful for applications requiring a wide angle of controlled coverage, such as in rooms that are wider than they are deep. 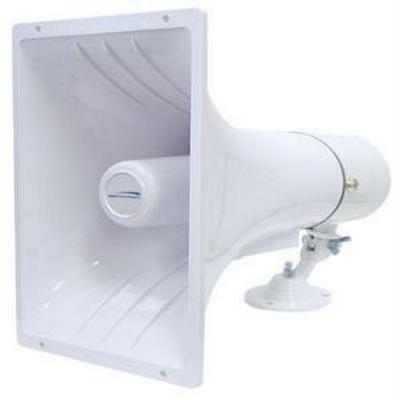 The enclosure may be suspended from its M10 threaded rigging points using a variety of optional hardware from Community, or it may be installed using a third-party mounting device. 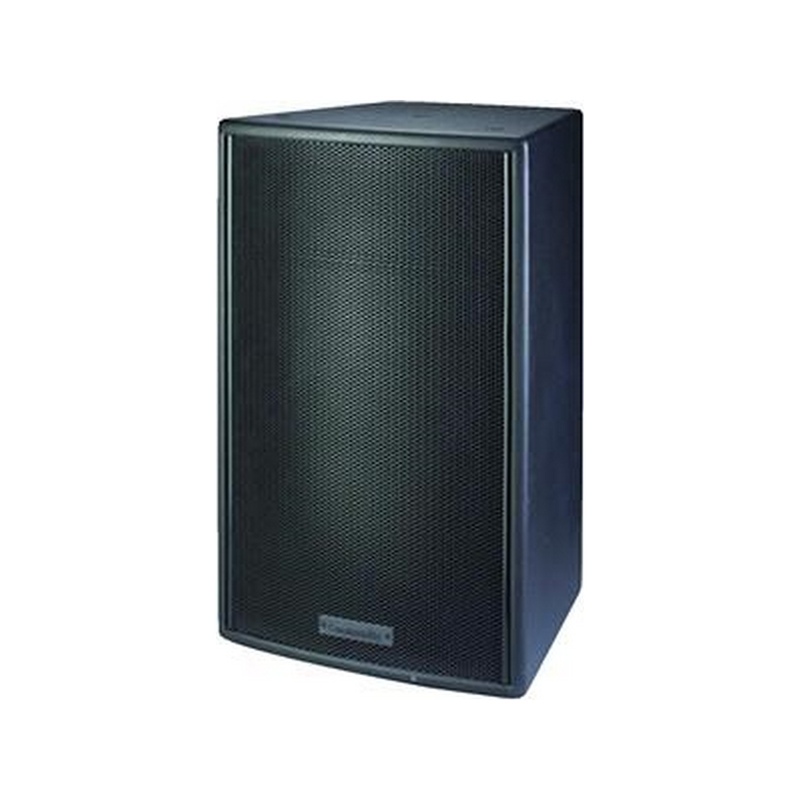 The V2-1596W provides extended high-frequency response, low distortion output, authoritative bass, and precise pattern control. 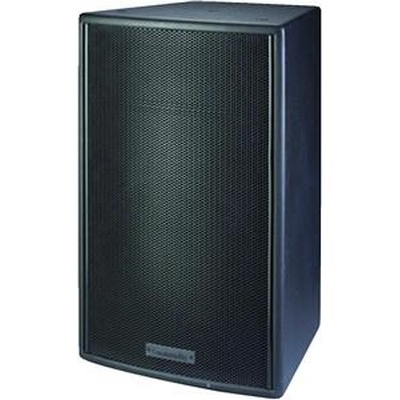 Featuring carefully designed crossovers that provide flat acoustic power response throughout the critical midrange region, and Community’s exclusive DYNATECH™ driver protection circuitry, the V2-1596W is a versatile performer for use in music and speech applications that require high-quality, high-power sound reinforcement at an affordable price. 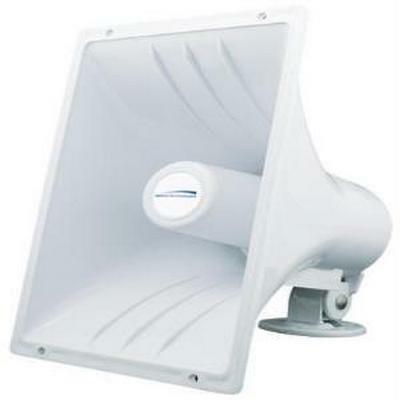 The VERIS 1296 is a two-way, full range loudspeaker system suitable for use in a wide spectrum of fixed installations. 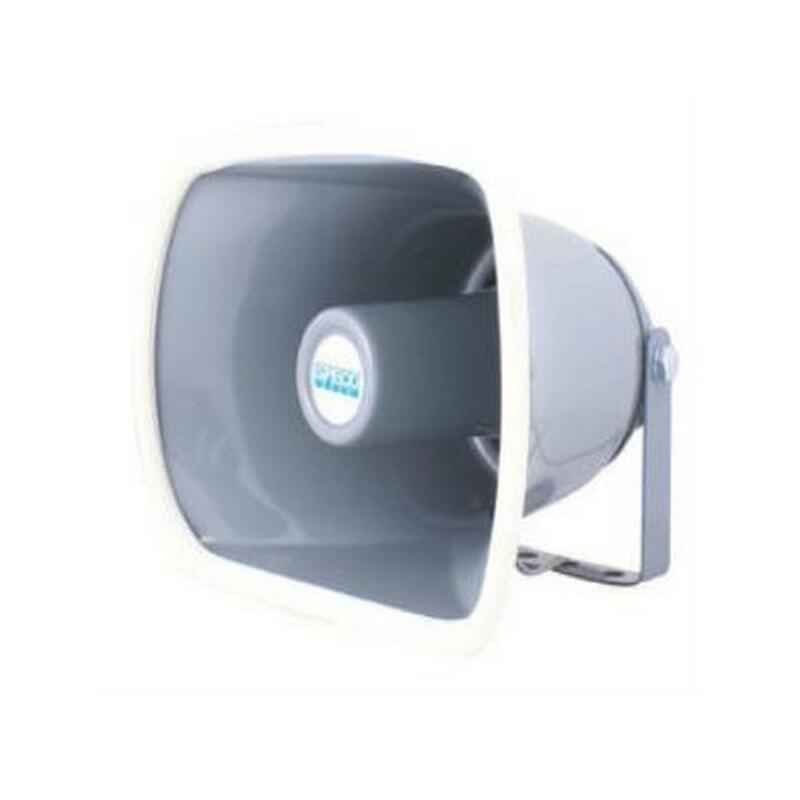 Compact and extremely powerful, the 1296 handles applications ranging from Church productions, jazz clubs and AV presentations, to contemporary preformances. 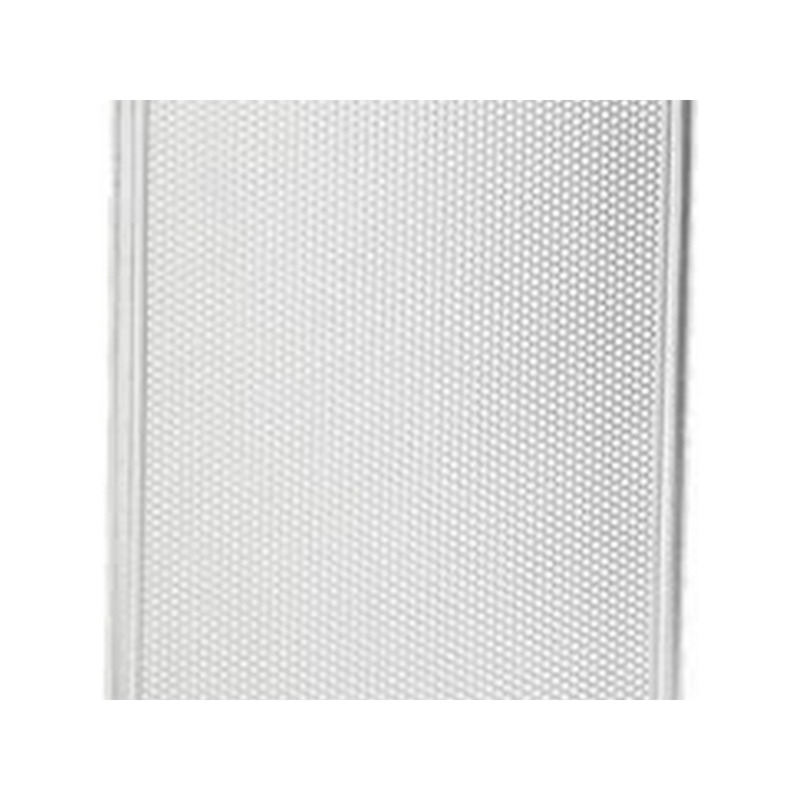 Its trapezoidal design allows it to be clustered with like units, forming powerful arrays.The 90º x 60º pattern makes the VERIS 1296 useful for applications requiring tight, controlled coverage such as in acoustically reflective rooms, particularly those that are deeper than they are wide. 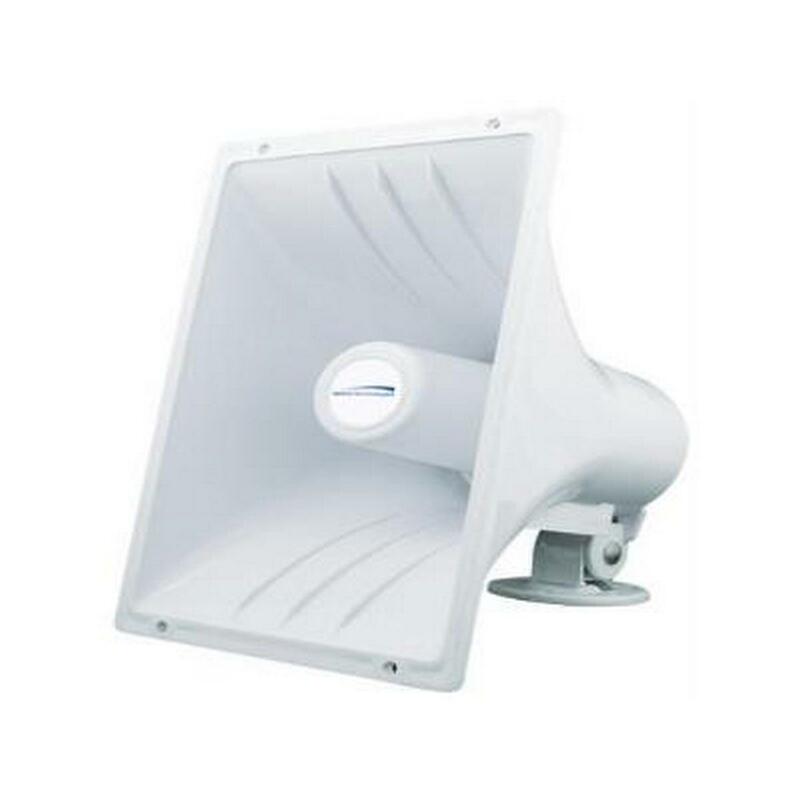 The enclosure may be suspeded from its M10 threaded rigging points using a variety of hardware available from stock, or it may be installed bt using an OmniMount 60 series mounting device. 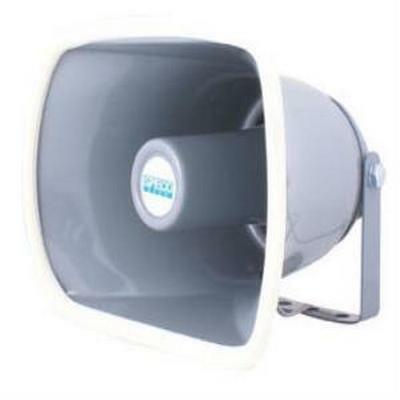 The VERIS 1296 provides extended high frequency response, low distortion output, a tight, punchy bass response, and precise pattern control. 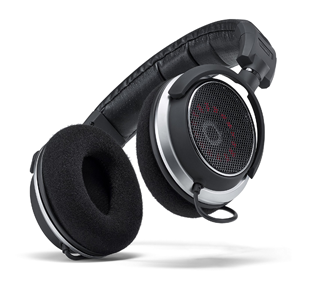 Featuring carefully designed crossovers that provide flat acoustic power response through the critical mid-range region, and Comuinity's exclusive DYNA-TECH dynamic driver protection circuitry, the VERIS 1296 is aversatile performer for the use in music and speech applications that reqire high quality, high power sound reinforcement at an affordable price.